Chiaramonte Gulfi is usually called "the balcony of Sicily", thanks to its excellent position that allows to enjoy an unique view from Gela to the Etna Mount. Many prehistoric remains were found in the area, but the origins of the town dates back to the VI century b.C. when Greek-Syracusans founded the town of Avrillai, then destroyed by the Arabs. The survivors took refuge on the Arcibessi Mount, re-building a new town, Gulfi, which was destroyed by the French Anjou's army in 1299. 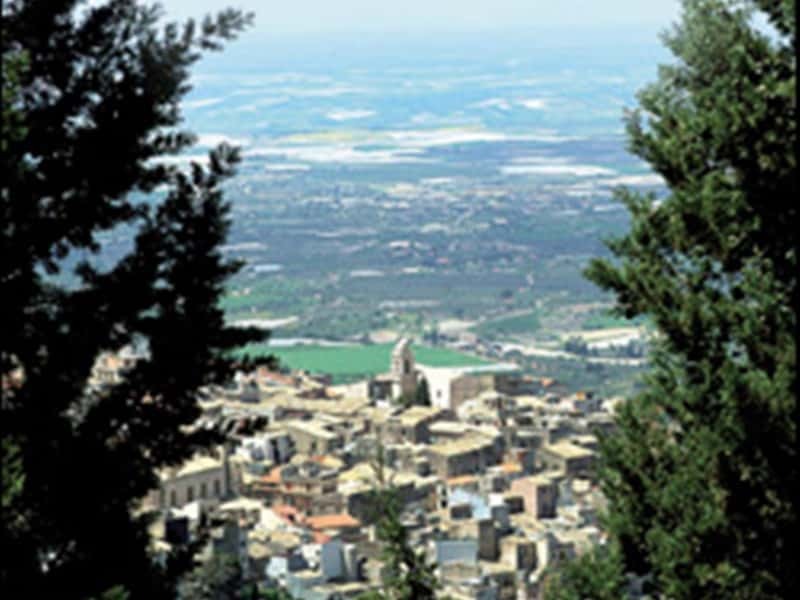 The town of Chiaramonte got its name by its founder's name, Manfredi I Chiaramonte, count of Modica, in the 14th century. ; in 1881 the name of the ancient town of Gulfi was added. Among the architectural treasures of the town, we have to remember the 14th century castle, famous for its huge pointed entrance door, the Church of S. Filippo, the Church of the Redeemer, whose statue was made by master Giacomo Mancino (16th century), the Mother Church (started in the 15th century and finished in the last years of the 18th century), the Arch of Our Lady of the Annunciation, one of the three gates of the village, being the only remain of the old town walls. This town web page has been visited 21,813 times.